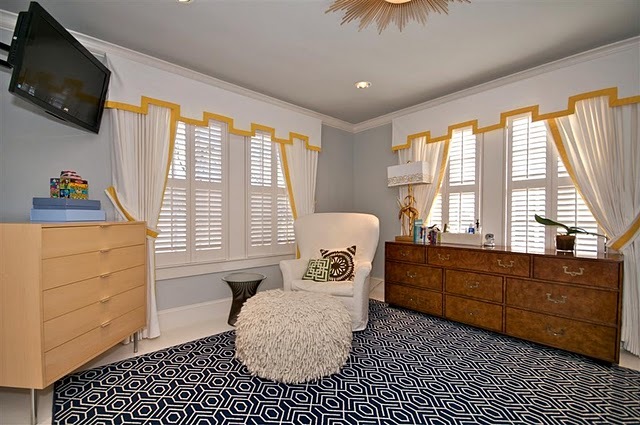 This Viceroy-esq nursery in a house for sale in Fort Worth, Texas was featured on one of my favorite blogs, La Dolce Vita, today and since I'm originally from Fort Worth I had to share it with you. After a little more research I realized that I actually know the couple and used to work with one of the owners (the husband) when I was interning in college. Small world right! This is not your typical nursery design but is wonderful and unique in its own right. 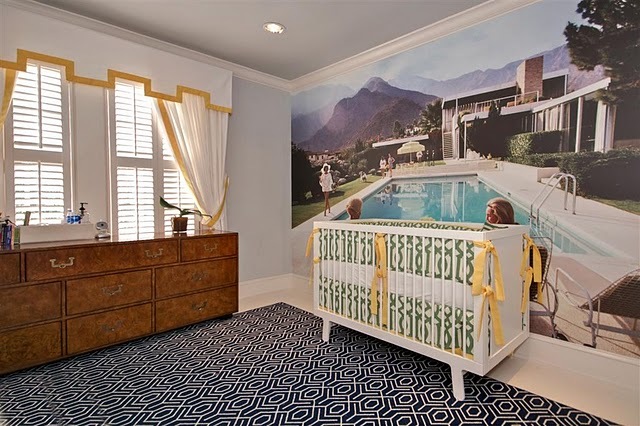 From the custom cabana-inspired window treatments, to the imperial trellis custom bedding & Oeuf sparrow crib I think they hit the Palm Springs/Regency look right on. I also like the Slim Aarons blown up mural on the wall. A similar idea to the blown up ocean photo that Lulu DK has in her dining area (shown below). Now back to the house...here is the link to an article about the house featured in D Magazine which includes more photos and sources. 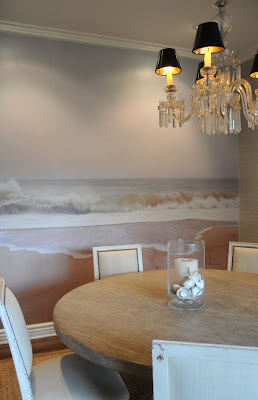 Interiors designed by the couple and Leigh Taylor Interiors in Fort Worth. Love that orange front door and turquoise pots! 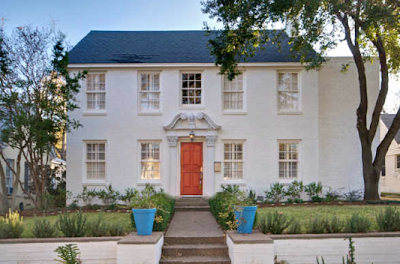 This house can be yours now too! It is in a great area of town. Check out the listing here. Wow. Lots of interesting ideas. 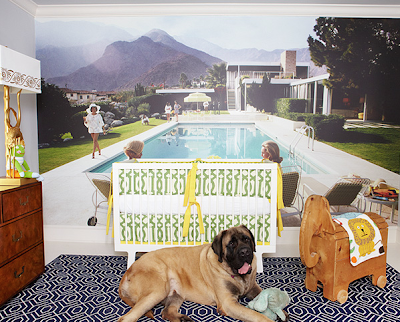 Those photo murals are wonderful, and that dog is HUGE! I am originally from Ft Worth as well! Love seeing design inspiration from our home town. Great room! Non-traditional nursery themes are inspiring.